"Tidefalls" or waterfalls that flow directly into the ocean, are super rare. There are a few scattered around the world but only 2 in the entire United States. 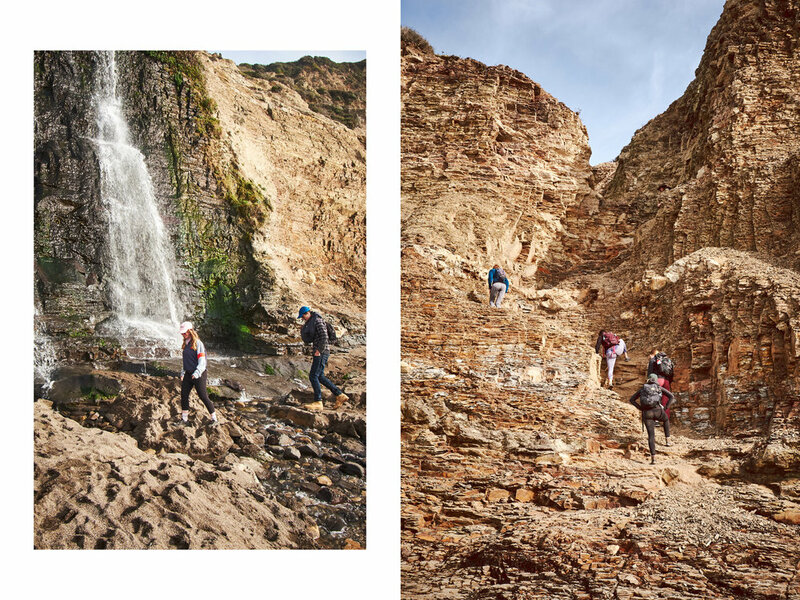 Put that waterfall in Bolinas, CA, add a 4.2 mile hike along a stunning coastal trail to get there, and you have yourself a recipe for a unique and beautiful way to spend a day. I first came across Alamere Falls around 7 years ago when I was looking for a rad surprise hike to take Sam on on his birthday. 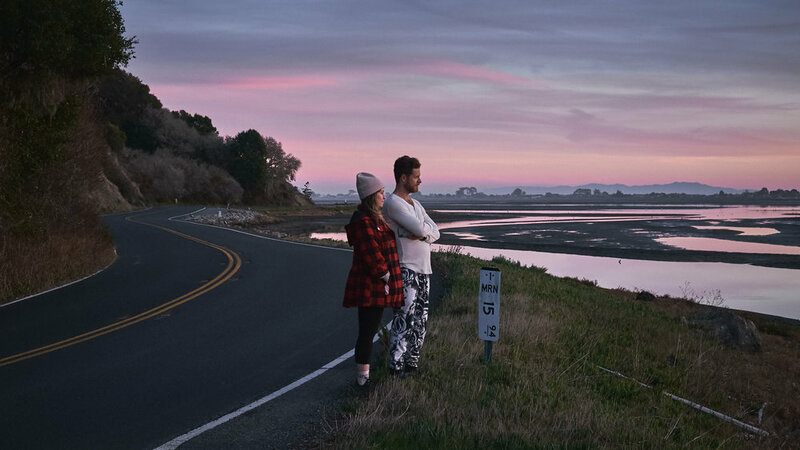 Because Sam was born and raised in the bay, growing up spoiled by beautiful nature, I wanted to find something I was fairly sure he had never done. Thanks to the many websites dedicated to trails and exploration, I was happy to come across this hike. And even happier to see his face in awe when we reached our destination. Since that proud moment, this has quickly become one of my favorite day hikes and one I try to take whenever we are visiting the bay. On this particular day, my friends joined us on a belated birthday (this time mine! ), last hike of the year, outing. It was the perfect way to wrap out the year. Start at the Palomarin Trailhead which connects to the Coast Trail. You'll be on this trail for nearly the rest of the time, about 3.5 miles. You'll dip away from the coast, into a wooded area, pass Bass Lake on your left, and eventually begin leaving the trees behind towards the end. 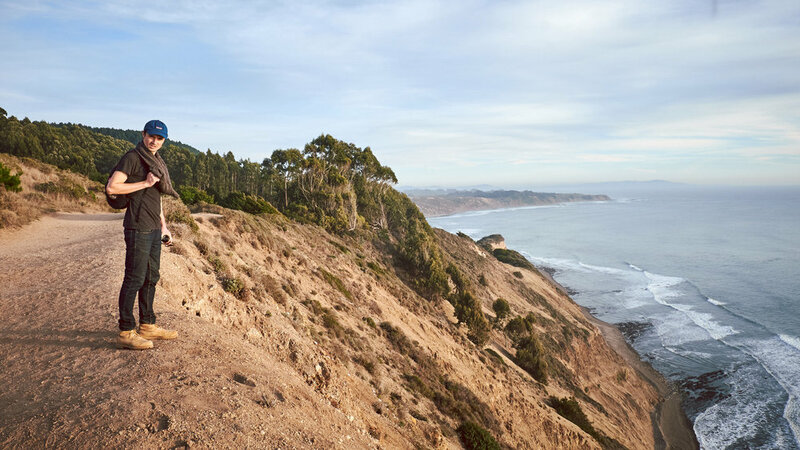 There are a couple ways to get to the beach, and we take the shortcut way via Alamere Falls Trail. This trail is VERY easy to miss. The last time we were there, someone had graciously made an arrow out of stones pointing to the overgrown trail, but do not depend on that being there! Follow the overgrown trail roughly half a mile until the growth opens up and you reach the top of the lookout point - about 40 feet above the cliffs. This is a perfectly good place to stop and have lunch if you are afraid of heights or climbing. 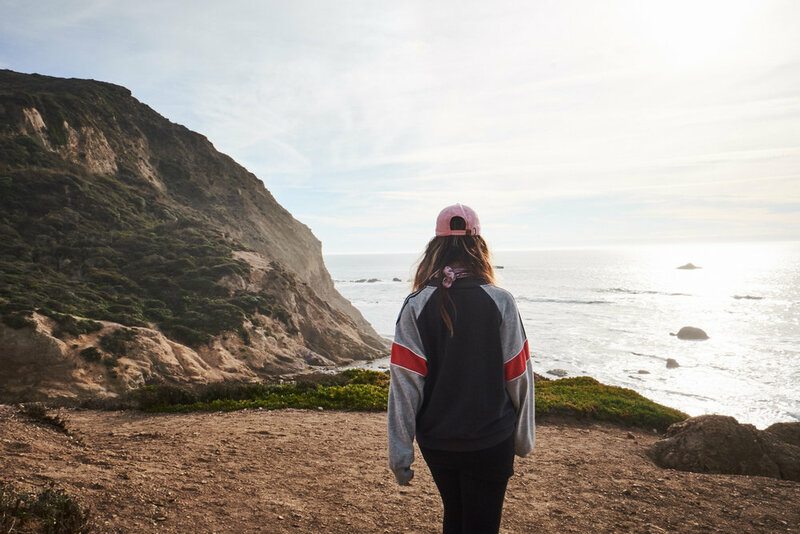 If not, follow the trail snaking through the cliffside and scramble down to the beach! Always make sure to keep an eye on the tide. Enjoy!